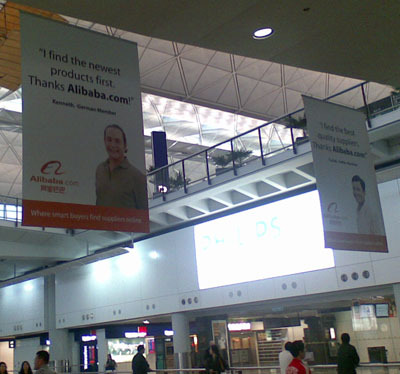 Alibaba ads spotted at the Hong Kong International Airport. I’m back in Hong Kong for a few weeks, so if anyone here is interested in picking my brain (or chatting) over a cup of tea/coffee, drop me a line. Previous post The internet police is cute (and male).